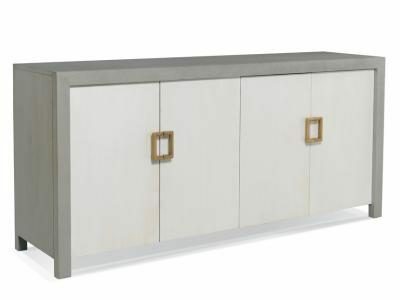 Clean-lined transitional four door cabinet with euro hinges. 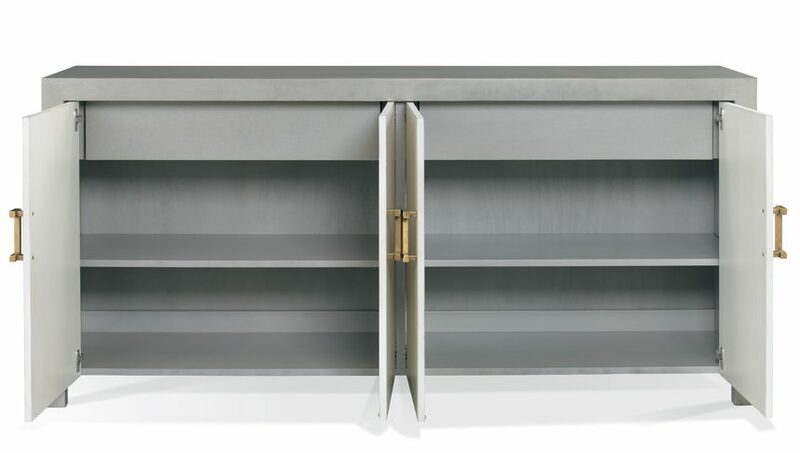 Each pair of doors houses a pull-out tray and an adjustable shelf. 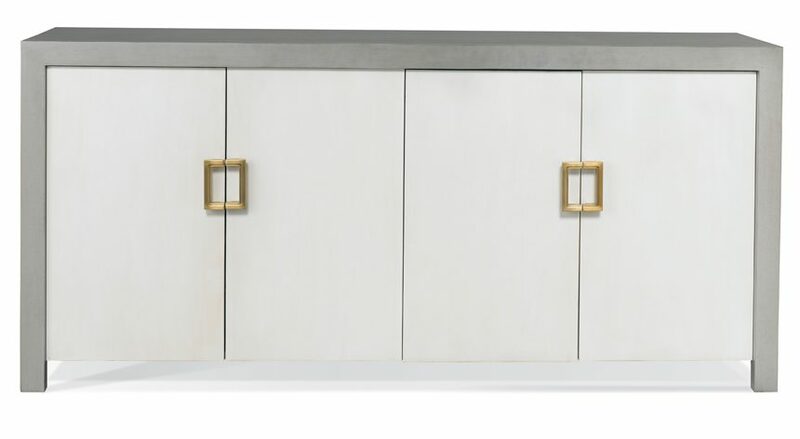 This cabinet has been designed for a dining area but would be just as functional as an entertainmenet unit with minor modifying for wire management.